All demos of GPU Caps Viewer work fine! Hehe here we are: the DX11 capable graphics system. 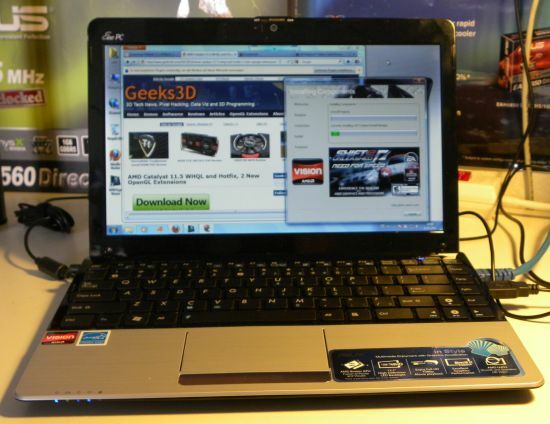 The Ontario APU inside ASUS’s 1215B is made up of a C-50 CPU and a Radeon HD 6250 GPU. Nowadays, the nice thing is that installing a graphics driver on a netbook/laptop works like for desktop PCs. 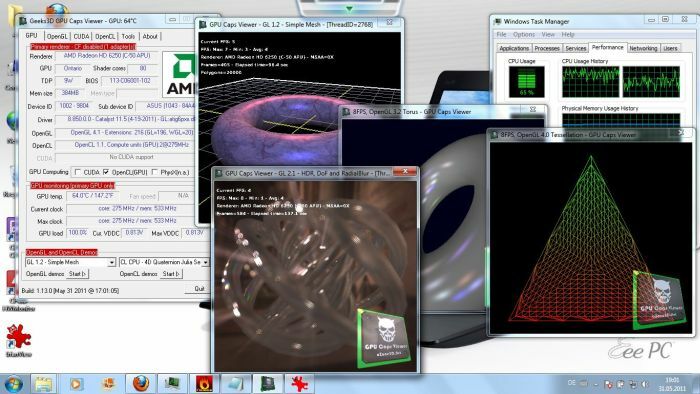 AMD provides Catalyst for desktop PCs and for notebooks. Then I downloaded the latest Catalyst 11.5 for notebook and installed it. The Radeon HD 6250 is a Direct3D 11 and OpenGL 4 capable GPU. 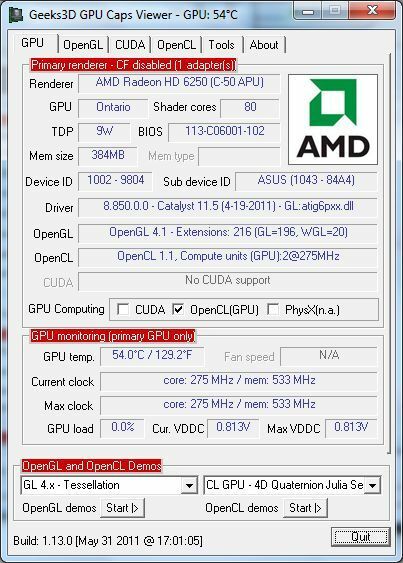 The HD 6250 packs 80 SP (shader processors) clocked at 275MHz. 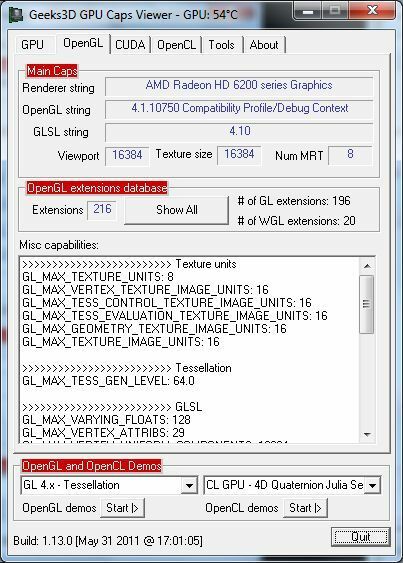 As you can see, the Radeon HD 6250 supports OpenGL 4.1 (v4.1.10750 for AMD) and 16k textures (bye bye graphics mem)!